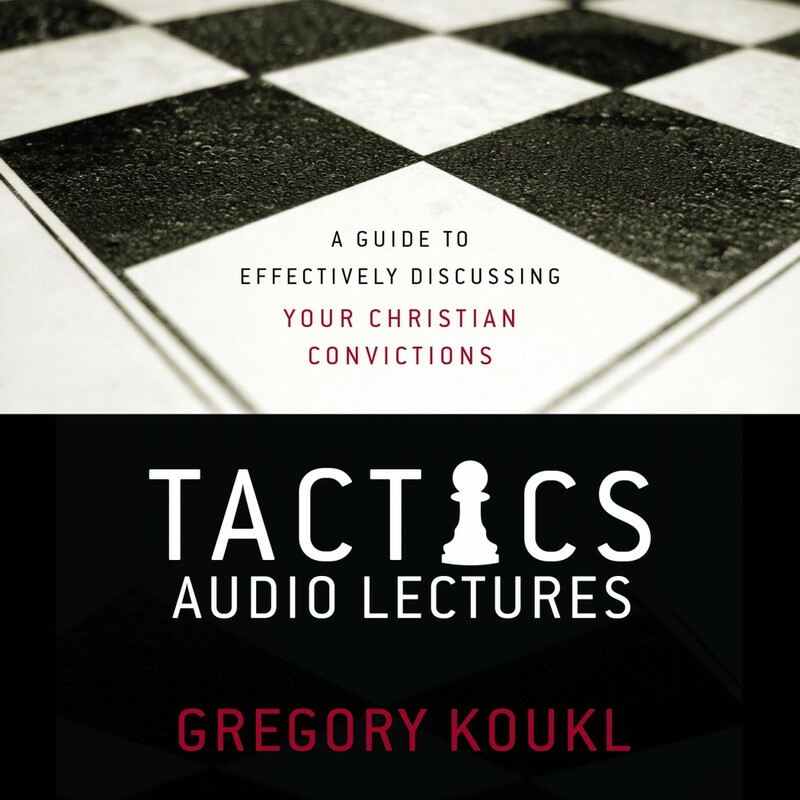 Tactics: Audio Lectures | Gregory Koukl | Audiobook Download - Christian audiobooks. Try us free. In the Tactics: Audio Lectures, apologist and radio host Gregory Koukl demonstrates how to get in the driver's seat in discussions about faith, keeping any conversation moving with thoughtful, artful tact. Listeners will learn how to maneuver comfortably and graciously through potential minefields, stop challengers in their tracks, turn the tables, and - most importantly - get people thinking about Jesus with conversations that look more like diplomacy than D-day. Designed to be used alongside the Tactics Study Guide, the Tactics: Audio Lectures provides a game plan for communicating the compelling truth about Christianity with confidence and grace.